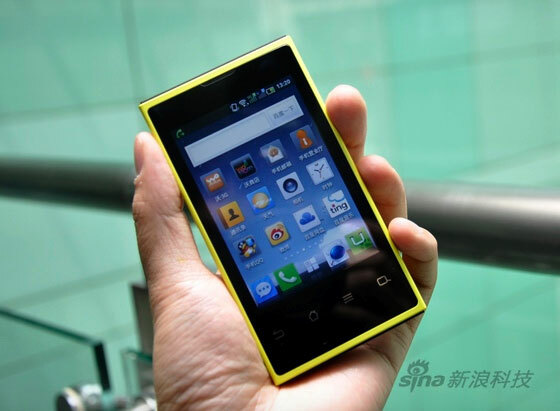 The Changhong H5018 runs on Android 2.3 and is dubbed Cloud OS, but don’t think it is easy to push your apps onto the device. As Google is a direct competitor, all Google services are lacking (thus lowering licensing costs for Baidu). This means you will have to push your app through Baidu’s own app store. The device has a 3.5 inch 320×480 display and runs at 650Mhz. On the back, you will find a three megapixel camera. In all ways a low budget device that needs the cloud storage to stand out from the crowd. The device costs 899 Yuan. That’s about $140 and can function with both WCDMA and GSM Simcards. This entry was posted on Wednesday, May 16th, 2012 at 11:03 am	and is filed under Platforms: AndroidOS. You can follow any responses to this entry through the RSS 2.0 feed. You can leave a response, or trackback from your own site.